Single room | Living room area – from 11,6 to 14 sq. m.
Single room | Living room area – from 15 to 19 sq. 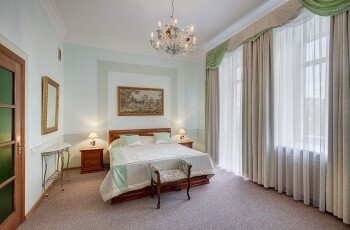 m.
Up to 2 pax | Large double bed or two twin beds | Living room area – 20 – 27 sq. 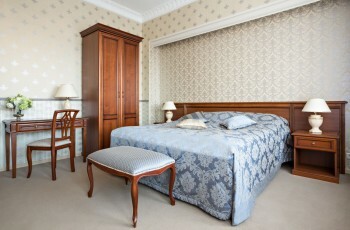 m.
Up to 3 pax | Large double bed or two twin beds | Living room area – 26 – 36 sq. 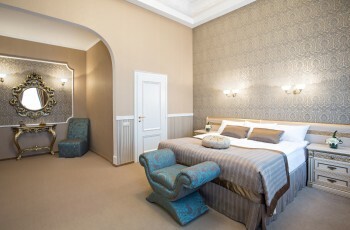 m.
Up to 3 pax | Double bed |Living room area – from 34 up to 38 sq. m.
Up to 2 pax | Double bed | Living room area from 45 to 66 sq. m.
Up to 3 pax | 2 bedrooms | The room is equipped with a real 140x telescope | Living room area 56,9 sq.m. 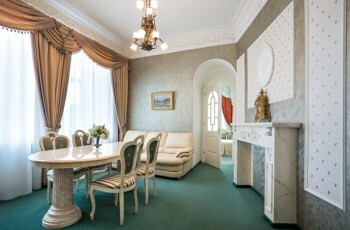 Up to 3 pax | 2 bedrooms| The room overlooks Triumphalnaya Square | Living room area 62м2 sq.m. 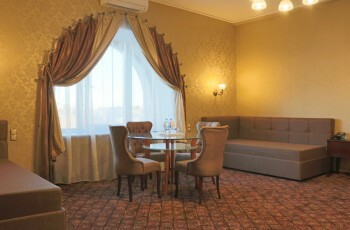 Up to 3 pax | Double bed (1.8х2 м) | Mini-kitchen | Living room 65,4 sq.m. 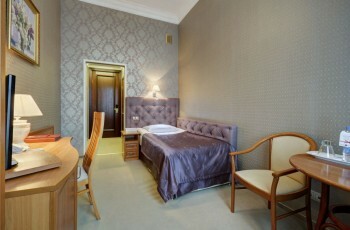 Up to 4 pax | Double bed, 2 sofas | Living room 61,4 sq.m. Up to 2 pax | Double bed | Living room area from 58 to 63 sq.m.